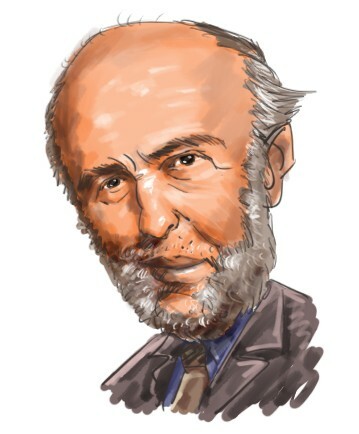 Jim Simons‘ renowned quantitative fund Renaissance Technologies employs complicated computer algorithms to drive trading. The market value of the fund’s public equity portfolio stood at $41.91 billion at the end of September with 17% of this value being represented by technology stocks, which is also the largest contribution from a single sector in the fund’s equity portfolio. The firm’s top technology picks, include Verisign, Inc. (NASDAQ:VRSN), NetEase Inc (ADR) (NASDAQ:NTES), Linear Technology Corporation (NASDAQ:LLTC), Alphabet Inc (NASDAQ:GOOGL), and Amdocs Limited (NASDAQ:DOX) and they are definitely worth taking a look at. Ren Tech trimmed its stake in the $8.41 billion technology company which provides software and services for communications, media and entertainment industry by 10% during the September trimester. Amdocs’ share price has however risen by a hefty 33.5% so far this year, so the company’s performance had little bearing on the hedge fund’s move. International Value Advisers, which is led by Charles De Vaulx is the second largest stockholder of Amdocs Limited (NASDAQ:DOX) within our database, just behind Ren Tech. The fund held about 1.98 million shares of the company at the end of June. While Ren Tech reduced its stake in Class C shares by 31% during the third quarter to 282,060 shares valued at $171.61 million, the firm increased its holding in Class A shares by 371% to 257,648 shares valued at $164.48 million. Both classes of the tech giant’s stock have posted gains above 30% since the start of this year. The company is now trying to get a slice of local advertising as it announced a partnership with IAC’s HomeAdvisor, which entails that homeowners looking for contractors like plumbers or electricians will now be able to get HomeAdvisor screened and approved results. According to Neil Doshi, an analyst at Mizuho Securities, the local advertising is a $50 billion opportunity. Andreas Halvorsen‘s Viking Global held about 2.74 million class A shares of Alphabet Inc (NASDAQ:GOOGL) and 1.15 million shares of the class C stock at the end of June. Renaissance decreased its stake in the manufacturer of high performance analog integrated circuits by 5% during the third quarter. So far this year Linear Technology’s stock price has slid by more than 4%. In its financial results for the first fiscal quarter ending in September the company delivered an EPS of $0.46, which was in line with the estimates, but quarterly revenues of $341.92 million were $1.42 million lower than forecasts. First Eagle Investment Management held 12.18 million shares of Linear Technology Corporation (NASDAQ:LLTC) at the end of the second quarter. During the last quarter Ren Tech added 121,900 shares of the Beijing-based online game developer. The company’s share price has risen by nearly 54% in the last 12 months. An idea of the company’s impressive performance can be gained from its financial results fo rthe September quarter in which revenues of RMB6.76 billion ($1.06 billion) represented an increase of 114% from the same period last year and beat estimates by RMB1.07 billion ($170 million). The EPS of RMB14.22 ($2.23) was also RMB2.97 ($0.47) ahead of estimates. Among over 700 hedge funds that we track, William B. Gray‘s Orbis Investment Management held the highest stake in NetEase Inc (ADR) (NASDAQ:NTES) at the end of June with 11.45 million shares. Ren Tech slightly decreased its stake in the provider of domain name registry and internet security by disposing of 35,300 shares during the Spetember trimester. So far this year Verisign’s share price has soared by more than 44%. The company beat both the top and bottom line estimates in its financial results for the July-September quarter. While the gross margins increased to 82.23% from 81.6% in the year-ago period, operating margins improved to 63.74% from 60.9%. The legendary investor Warren Buffett’s Berkshire Hathaway tops our list of Verisign, Inc. (NASDAQ:VRSN)’s shareholders as it held about 13 million shares of the company at the end of June.